You can depend on Delaware Appraisal Group. A full service appraisal company that has provided professional appraisals on residential, estate, office, commercial and industrial real estate since 1987. 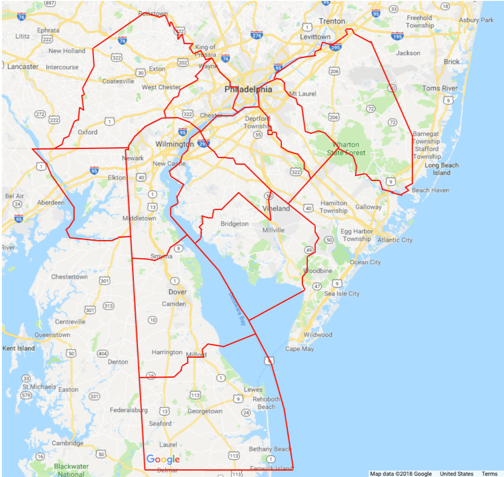 Currently, a staff of four full-time, licensed appraisers that complete 450-500 appraisals each year in Delaware and surrounding areas of Maryland, Pennsylvania and New Jersey. As professionals in the field, members of Delaware Appraisal Group have earned the respect of community leaders for sound, unbiased advice in a variety of valuation services. Our appraisers adhere to the highest possible principles and ethical standards. A primary goal of Delaware Appraisal Group is to create a relationsip with our clients of trust and compentence. Our success is based on our ability to work with individuals as well as corporate clients, to offer diversified sercies and to provide candid, well-supported conclusions to value - all with the utmost confidence. Delaware Appraisal Group is recognized as a team of knowledgeable professionals whose collective experience is exceptional. Delaware Appraisal Group offers proven experience in numerous areas of real estate through which the soundest base of property valuation can be determined. Sensitivity to the marketplace, diversified experience and ethical performance are invaluable resources we offer to every client. At Delaware Appraisal Group, we can offer our clients a comprehensive range of appraisal services. Regardless of size, each report is tailored to fit the client&apos;s needs with a total commitment to an unbiases and objective conclusion to value. Whether is estate planning, mortgage financing, counseling, buy/sell decision, investment analysis or just general financial planning for furture decisions, our clients can rely on competent, accurate and dedicated performance.